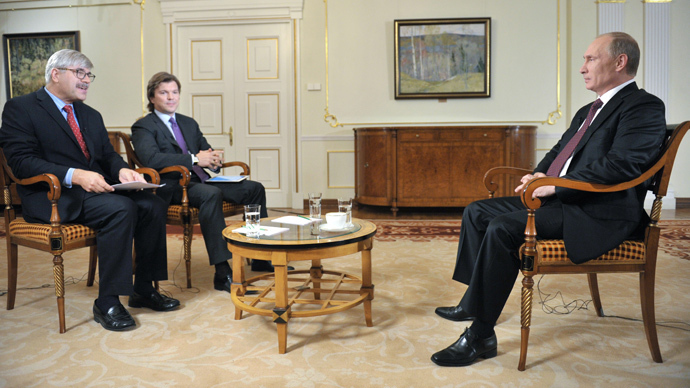 Ahead of the G20 summit in St. Petersburg, Russian President Vladimir Putin sat down for an interview with AP and Channel 1. 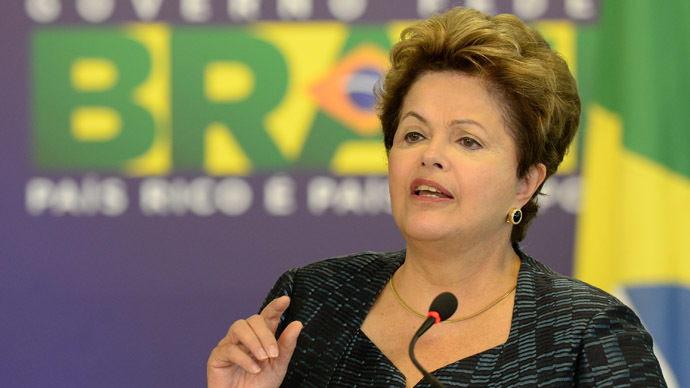 Among many issues, the leader spoke about Snowden, Syria, and Russia’s controversial gay propaganda law. Associated Press:Thank you very much for inviting us to your house and finding time to answer a few questions for our large audience. A G20 summit will take place this week. This will be very interesting. I would like to start with Syria. President Obama said he would wait for Congress to approve an operation in Syria. What do you think about the alleged use of chemical weapons there? And what do you think needs to be done in this respect? Vladimir Putin: We can’t say for sure what happened. We think we should at least wait for the UN inspectors to give their report. 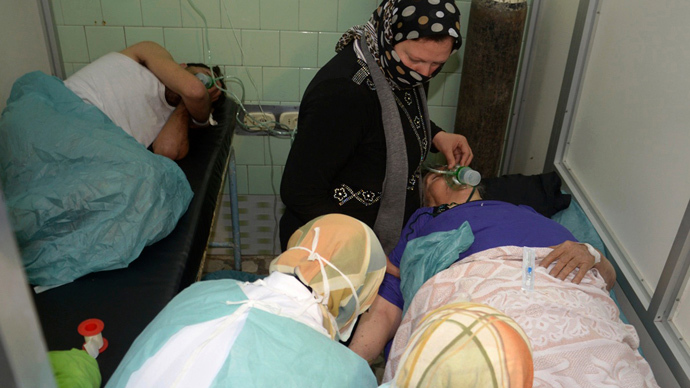 We don’t have any evidence showing that it was the regular army of the Syrian government that used those chemicals. We don’t even know at this point if those were chemical weapons or just some hazardous chemicals). Besides, as I said elsewhere, we think it would be totally absurd for the regular government forces to use banned chemicals weapons in a situation where they have encircled the so-called ‘rebels’ in certain areas and basically are about to finish them off. They are fully aware of the fact that such a step would mean sanctions, including even the use of military force. This is just absurd. It doesn’t make any sense. That’s the first point. Second, we think that if someone has evidence proving that chemical weapons have been used and that it was the regular army that used them, they should present this evidence to the UN Security Council – to the inspectors and to the Security Council. And this evidence has to be compelling. It should not be just hearsay, just some conversations intercepted by the intelligence service. Even in the US, some experts think the evidence presented by the administration is not compelling. It is possible that the opposition staged a provocation in order to give their patrons an excuse for a military intervention. AP:We saw video records of children suffering from poisoning. Have you seen those videos? What’s your response? VP: The videos you’re referring to of children who had allegedly been killed in this chemical attack are just horrific. However the question is, who did it, what exactly was done, and whose fault was it? Those videos don’t answer these questions. There’s an opinion that this compilation was made by a group of militants who as both the US Administration and we know are associated with Al-Qaeda. We also know that they have always been notoriously ruthless. Still I’d like to point out that there are no parents, women or medical personnel in those pictures, which you would have noticed at a closer look. Who are those people, and what really happened there? This question remains open. Certainly, those pictures are just hideous, but they don’t prove anyone guilty. This incident obviously has to be investigated. We would like to know who was responsible for these atrocities. AP:What would Russia’s position be if you became convinced that the chemical attack was launched by the Syrian government? Would you agree to military action? VP: I won’t rule this out. But let me draw your attention to one absolutely essential thing (principle circumstance). Under international law the only body that can authorize using weapons against a sovereign state is the UN Security Council. Any other reasons and methods to justify the use of force against an independent and sovereign state are unacceptable and they can be seen as nothing but aggression. AP:I see your reasoning in this regard. But I do wonder, when there is a question mark about who committed these crimes, whether Russia should distance itself from the Assad government and maybe hold up its shipments of arms? VP: We will not come up with a response unless we get the exact information on who committed these crimes. Speculating and rushing to promise we will do a certain thing would be totally wrong. You don’t do that in politics. But let me assure you that we will take a compelling stand, as we firmly believe that the use of weapons of mass destruction is a crime. But there is also another question. If there is evidence that it’s the militants that have been using WMD, what will the US do to them? What will these sponsors do? Will they stop weapons supplies? Will they start hostilities against the militants? AP:I think John Kerry said that anyone who stands by when these crimes are done will have to answer to history. I’m sure that you and Russia and the US would be included in that. But are you afraid that you may be seen today as standing by a regime that is oppressing and committing crimes? Is there a danger that you will be seen as a protector of this government? VP: We are not defending the current Syrian government. We are defending other things entirely. We are defending the principles and norms of international law. We are defending the current world order. We are defending the rule that even a possibility of using force must be discussed within the framework of existing world order and international law. This is what we are defending. This is the absolute value. When decisions concerning the use of force are made outside the UN and the Security Council, it raises a concern that such illegal actions could be taken against any country under any pretext. You’ve just said that Mr. Kerry believes that it was Assad’s forces that used chemical weapons, but the secretary of state in Mr. Bush’s administration was trying to convince the international community that Iraq had chemical weapons in a similar fashion. He even showed us a test tube with white powder in it. The argument turned out to be invalid, but a military operation was conducted based on it – a military operation many in the US now call a mistake. Have we forgotten that? Are we proceeding from the assumption that new mistakes are so easy to avoid? I assure you, it is not so. Everyone remembers what happened, and they take it into account when making their decisions. AP:As I understand, you don’t believe the evidence that has been offered so far is convincing. What would it take to convince you? VP: We would be convinced by a detailed investigation and by direct evidence of who exactly used chemical weapons and what substances were used. Then we’ll be ready to take decisive and serious action. Channel 1:VladimirVladimirovich, is Russia still fulfilling weapons contracts signed with Syria? VP: Yes, of course. We are doing this because we believe that we are working with the legitimate government and we are violating neither international law nor our obligations. The UN has not imposed any restrictions on the export of weapons to Syria. We feel so bad that Syrian militants have been receiving weapons without any restrictions from the very first day of this conflict, despite the fact that it is against international law to supply weapons to any party engaged in a military conflict. C1:I would like to clarify the situation with state-of-the-art S-300 missile systems. C1:There’s been so much speculation around this: has Russia actually delivered the S-300 to Syria or not? VP: The S-300 are not the newest systems, though they might be a little better than Patriot missiles– but we do have S-400 and S-500 coming up soon. These are certainly very efficient weapons. We have a contract to supply S-300 missiles, and we’ve already supplied some parts, but not all of it, because we decided to suspend supplies for a while. But if we see international law being violated, we will reconsider our future actions, including supplies of such sensitive weapons to certain regions of the world. C1:Many national leaders have stated that their countries would not become engaged in this conflict under any circumstances. Would you also make a similar statement? VP: I’d like you to note that presently there are no Russian Armed Forces’ units stationed anywhere outside of our country. The only exceptions are the two military bases on the territory of the former Soviet Union, and our peacekeepers in operations within the UN mandates. This is something really good, something we’re happy about. We’re certainly not planning to, and we will not get engaged in any sorts of conflicts. As for the decision made by a number of nations not to participate in the military operation - frankly, I was quite surprised by it. I had believed that the Western society has been long acting under the principles of certain uniformity, similar to decisions that had been taken at rallies of the Soviet Communist Party. But it proved not to be the case. Indeed there are individuals who treasure their sovereignty, who analyze the situation, and who have the guts to take decisions in the interests of their own countries and to defend their stance. This is a good thing which says that the world is truly growing stronger in its multi-polarity. 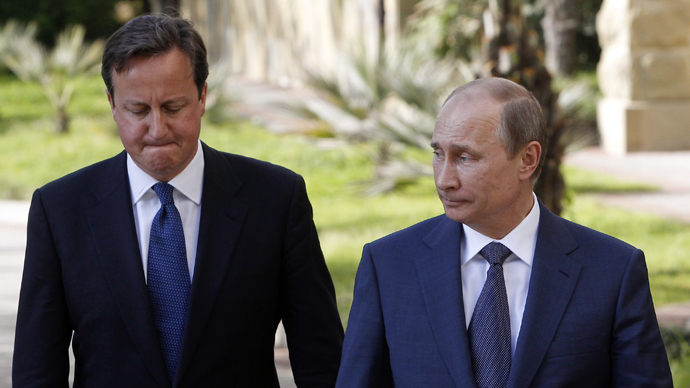 C1:Mr. Putin, what place do you think the Syrian conflict will have on the G20 summit agenda? The summit in St. Petersburg is just around the corner. VP: First of all, I’d like to say that the agenda for the upcoming G20 summit has been drawn up well in advance. We’ve discussed it with our partners and we don’t think we have the right to go back on our agreement. 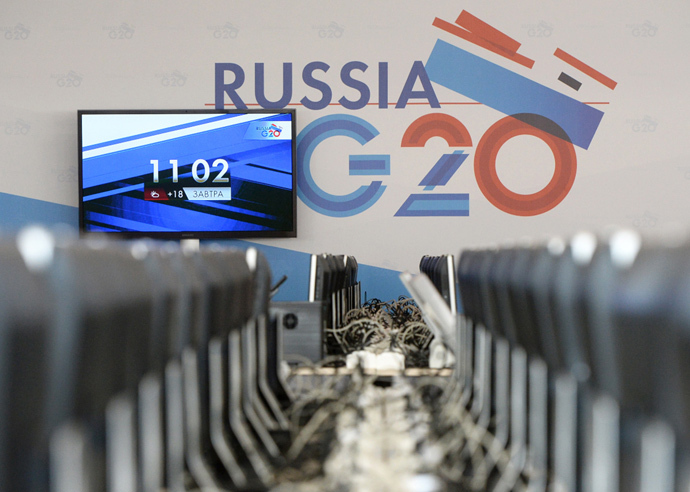 The G20 summit will mainly focus on the world economy and economic problems, such as slow economic growth, unemployment, corruption, tax crimes and management. But considering the grave situation in Syria and that we can’t agree on what is to be done to resolve this extremely important issue, we could probably take advantage of the fact that the leaders of 20 leading economies in the world will be meeting in St. Petersburg and spend some time discussing this topic. We will not impose it, though – we can just propose to deviate from the agreed agenda and discuss the Syrian conflict. I want to stress this again – we are hosting the summit, and that means following certain rules. The agenda has been agreed on beforehand, and we don’t believe we have the right to single-handedly modify it. However, I will certainly propose to my colleagues to discuss the situation in Syria. I hope my counterparts will agree. C1:What would you consider to be a successful summit? VP: I would regard the summit as successful if we have an open, positive discussion in order to finalize and adopt the prepared decisions. I’m referring to a number of measures intended to stimulate economic growth around the world and create new jobs. These are the two key strategic areas. In addition, we think that in order to achieve these two crucial objectives, we need to address a few intermediate issues, such as stimulating investment, making the global economy more open and, as I have mentioned, improving tax governance, the banking system, etc. By the way, speaking of tax governance and improving the tax system, tax evasion is somewhat related to corruption. What we managed to achieve (even though we did not do it by ourselves; we worked with our partners and colleagues as part of an OECD initiative) is that we have agreed key principles for developing the tax system throughout the world. This is something nobody has done in the past hundred years. This is an important element of our work. We have prepared what we call the Petersburg Plan to stimulate the global economy and create new jobs. We have reached an agreement on a few other, corruption-related issues. We have coordinated our position on offshore tax havens, preparing a whole range of measures. So of course we will discuss global trade and global finance, and we will regard the summit as successful if we adopt all the documents that we have prepared and agreed. C1:If I understand you correctly, apart from initiating the discussion on these key issues, Russia is going to propose certain ways of solving some of the aforementioned problems? VP: You know, we’ve been working for the whole year since the very beginning of Russia’s G20 presidency. The G20 leaders’ summit is the essence and the conclusion of the ministers’ and experts’ work during the whole year. In the course of our discussions we made certain proposals and others made certain proposals. This was a team effort; we’ve been cooking a ‘pie’ for G20 leaders who are going to sign the final documents. AP:President Putin, I would like to get on to the subject of US-Russia relations, but I want to ask one more question concerning Syria. 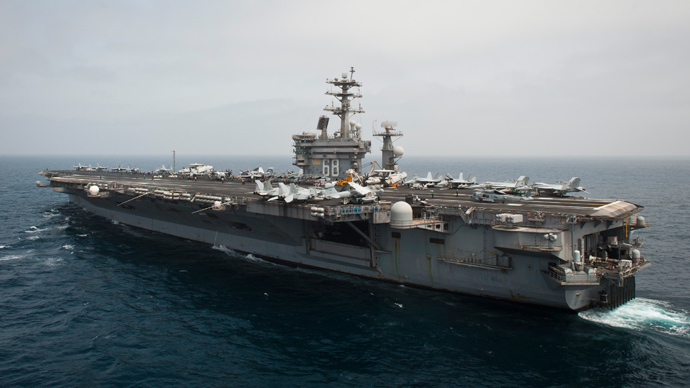 Supposing President Obama gets the support of Congress forcing military actions and other countries go along - what would Russia do in this situation? Will you fight for Syria or you will break off your relations with Syria? What is your reaction going to be? VP: Who do you really work for: the news agency or the CIA? Those questions should be asked by people from some other agencies. These questions concern Russia’s actions in case of this or that scenario. We have certain ideas about what we are going to do in case of a military intervention and in case of no intervention. We’ve got our own plans, but it’s too early to discuss them. AP:Alright. Now let me ask you a question about President Obama’s canceled visit to Russia. We should be sitting today discussing the summit with him. Are you disappointed over the canceled visit? VP: Naturally I am. I would have liked the US president to come to Moscow so we could have the opportunity to talk about the issues we need to discuss. But then it’s by no means a disaster either. The thing is the contacts between our government bodies and various ministers never ceased. Recently the Russian defense and foreign ministers went to Washington. Our parliaments maintain contact, too. In other words, our joint work continues. We understand that the American administration is somewhat annoyed over Russia’s stand on certain issues. But one can’t do much about it. I believe a better idea would be to exercise patience and try to work out solutions instead. I hope to be able to talk to Mr. Obama on the sidelines of the upcoming G20 summit in St. Petersburg. All the previous meetings we had were highly constructive. Barack Obama is nice to talk to and he is a man of business. I am convinced that if we do meet, even if that happens on the sidelines of the G20 summit, that alone will be good. In any case, we’ve been engaged in many issues together. This includes disarmament, the state of the world economy, North Korea, Iran and many other problems that both the US and Russia are interested in tackling. Take, for instance, fighting terrorism. America recently went through a tragedy when it saw explosions at a sporting event. The security forces and special services of our countries have been engaged in active cooperation ever since. This cooperation clearly benefits both Americans and Russians. It never stopped and I am sure it will develop further. AP:There has been some speculation about your personal chemistry with President Obama; your relationship with him. He was quoted as making some remarks about your body language, saying that you are slouchy and look bored. I was wondering how you took those remarks? Did you feel that they were too personal or inappropriate? What was your reaction? VP: I believe every person, including those engaged in politics, economy, security or engaged in dissemination of information, every person tries to demonstrate their best qualities, including those observers you mentioned. Sometimes I read about body language - about us being bored or just behaving differently - and it baffles me. Who can tell about how we feel like or what we are thinking about except ourselves? Of course, there are some gestures that have unmistakable meaning, but they have never been used either by me towards President Obama or vice versa, which I hope will never happen. The rest is fairytale. Let me repeat what I’ve already said: discussions between me and President Obama are always highly constructive, focused and fairly open. In this aspect the US president is a very good partner, because his position is clear, he listens to his counterpart or opponent’s opinion and reacts to it. It’s been very interesting to work with him. AP:Do you think there is still a third world mentality in the Russia-US relationship? And if so, how do both parties overcome that? VP: It is partially true. But I’d say that it’s primarily so in terms of mid-level interaction in practically any sphere. Many people, particularly those from special agencies who have been for decades working in the US against the Soviet Union and vice versa, are somehow still living within that. But I’d really like to believe that it doesn't affect the top political level, that our present arguments have nothing to do with it. Probably they occur because we have different perceptions of the problems we’re facing, because we prefer different ways of reaching our – I want to stress it - common goals. Also it is due to ability or disability to seek compromise and to respect partners’ opinion. AP:At the time of your re-election campaign, many said the arrests that took place were aimed at weakening your opponents. Do you think the US is involved in recent events taking place in the civil society? VP: I don’t quite understand what arrests could influence the outcome of elections in Russia that you’re talking about. You would oblige me greatly if you explain this to me. I am not aware of any arrests that could influence the outcome of elections in Russia. There were no such arrests. Even if our law enforcement did hold someone accountable, the best defense in such cases is usually shouting ‘Help! This is a political repression!’ I don’t even know any of such cases, actually. What exactly are you talking about? AP:What I mean is that many people think that the US Department of State wants to weaken its opponent and destabilize the situation in Russia. VP: Frankly, sometimes it seems to us that this is the case, and in fact I have mentioned this to our US colleagues. I’m not sure if it is appropriate to mention this in the media, but since this is so obvious anyway, I’ll say it. I can’t imagine the Russian ambassador to Washington vigorously working with Occupy Wall Street activists. I simply cannot imagine this, because the ambassador’s job is to improve the relationship between two countries. It is a delicate mission. No matter how many difficult issues there may be, there should be a person or people on both sides who can avoid thorny issues, look for compromise and find common ground. But we all know what your [US] embassy staff did. Again, this is the same as if we would be working this way with Occupy Wall Street. We don’t do this kind of thing, but some of the US embassy staff think there is nothing wrong with that. I believe this does not correlate with normal diplomatic practice. But we refrained from overblowing a scandal out of this. We just thought to ourselves: ‘Well, maybe it’s just their manner of doing things, let it be.’ So, this did not have any negative effect on our relations. Personally, I believe these practices are improper and harmful, but perhaps that’s just the way certain officials do things. Well, people come and go but the interests of such great nations as Russia and the United States stay, and somebody’s got to do this work. AP:And the cooperation between the intelligence services, is it on the same level despite a certain strain in the Russian-American relations? VP: No, when it comes to cooperation in the sphere of intelligence, some mishaps did happen, of course. Sometimes when the Russian side passes information, the Americans will tell us they’ll take care of it themselves, so we say, ‘Well, OK.’ But in general the cooperation is going well, it’s very useful. I’m convinced it helps us protect our citizens, and this is the most important result we’ve achieved. I would like to once again express hope that we will keep strengthening our cooperation. C1:Mr. Putin, to summarize our discussion of Russia-US relations, how would you describe them at this point? Today the schedule of President Obama’s visit to Russia was announced. Upon his arrival he is going to meet with human rights activists and representatives of the LGBT community. We’ve already heard some comments that this is a certain indicator of our present relations. VP: US diplomacy is known for showing its support for civil society. I don’t believe there’s anything wrong with that. To the contrary, we welcome it. This is something that helps gain a full scope and understanding of what’s going on in our society. It would be great if the diplomatic service, the embassy, and special services would provide a full and unbiased picture of Russian society - this is exactly what they are there for, rather than just looking at it one-sidedly. It’s an important point though, to see how human rights activists are organized today and how they are doing. 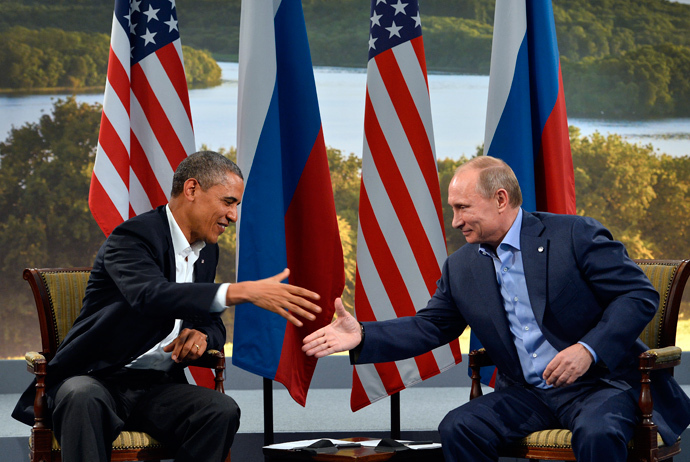 C1:Are relations between Russia and the US freezing now after the reset? VP: No, they are at a routine stage. We stand up for our national interests and principles of solving international and bilateral issues. That’s difficult, tense work that has to be done together. True, it’s no bed of roses. This is really hard work, with nothing exciting about it. But the American people did not elect President Obama to please Russia, neither did the Russian people elect me to please someone. We continue to work, sometimes we argue, as we’re humans someone gets irritated. But let me say it again: I believe that coinciding global interests are a good platform to look for joint solutions. C1:September opens the political season in Russia, it is not just the G20 summit. We’re on the eve of elections. On September 8 we will see elections of regional governors and legislatures in many regions. As usual, the voting was preceded by quite a few polls that showed rather upsetting results: many people doubt that the elections will be fair. You certainly must be frustrated with these results. VP: In general, people have trouble believing in anything at all in our country. That’s pretty normal: it is in human nature to doubt. It is the business of authorities to strive for an ideal result – though there is probably no such thing as an ideal result. However, it’s a matter of honor for the government and every civil servant who works for local authorities, as well as election committees and law enforcement bodies, to make sure that the people can speak their mind and choose the candidates they like. This would in turn help to build capable and competent governmental bodies. We are exceptionally interested in making this happen. The efficiency of municipal and regional governments will determine the performance of Russia as a nation. If these people are inefficient or manipulate their way into power, that will only do harm to the whole country. C1:You know, talking about objectivity and fairness. I want to ask a question about the judicial system, namely concerning certain court decisions. Here’s an example: a government official receives several years of a suspended sentence for the proven fact of stealing about 400 million rubles. Also, there’s a rural teacher who was also the director of the local social club who is sentenced to seven years in a high security penitentiary and a fine of three million rubles for receiving a bribe of 400 thousand rubles. If I remember correctly, he has a large family. You know, I’m not talking about logic here. Of course, I understand that you cannot say that the court’s decision was unfair. But it seems that this kind of situation can no longer be tolerated, this is some kind of nonsense. This kind of system has to be changed. VP: You know, these cases may seem alike, but according to the legislator’s logic these crimes have different levels of social danger. For example, the damage in two different cases may be the same, let’s say one million rubles. But in the first case we are dealing with stealing, and in the second case we are dealing with robbery. Robbery is more dangerous socially because it’s more reckless. Though the damage in these two cases is the same, a robber would usually receive more serious punishment than a person who secretly stole one million rubles. When a thief steals something, he does this secretly and the victim doesn’t see what he is doing. But the robber realizes that his victim sees everything and he still commits his crime. Though the damage is the same, they will receive different punishments, and, I believe, this is quite reasonable. But of course, your example does not properly fit into my explanation. C1:Yes, this example involves a certain person. VP:Yes, but what I am saying is that it may look as one and the same wrongdoing, but the legislator regards them as different ones. The given incident is surely outrageous. There are certain sanctions and a judge is to make the decision within these sanctions after having taken counsel with his colleagues. Bribery is a more significant menace to society, than a regular theft. Do you see what I mean? It is clear as day. But mistakes may occur. For instance, in the US they inflict the death penalty. All the countries that practice the death penalty have seen cases when an innocent person was sentenced to death, which was discovered after the penalty had been carried out – and Russia is no exception. So what can I say here? That we should abolish all the courts? No, we have to improve the judicial system and legal framework making it more transparent, up-to-date and proportionate to the given type of social relations this or that law regulates. So it’s about working on the judicial system, and it doesn’t mean it is no good at all and we should wreck it. It isn’t true. Russia’s judicial system is deep-rooted and is part and parcel of the international judicial system. Russian law has a long history, it is part of European continental law and a lot of its principles as well as legal precedents are on a par with the legislation and case law of other countries, and sometimes even better. Yes, there are a lot of problems and we have to work them out. C1:Would you say that the Russian justice system is independent? VP: Yes, the justice system in Russia is independent. If a judge doesn’t want to be independent, then of course there can be no talk of independence – he would go to the governor or to someone else to ask for advice. But I assure you, this happens pretty much everywhere. Generally, if a judge takes a principled stand, no one can do anything about it. In present conditions in modern Russia, I believe nobody would even want to try to do so, considering the significant legal and procedural power a judge wields. 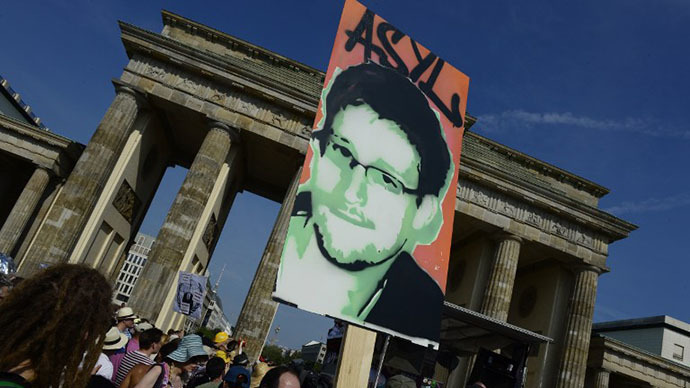 AP:Since we’re talking about legal matters, the Edward Snowden case has sparked a lot of unhappiness and frustration. What do you, as a former security officer, think about the actions of a man like Snowden, who leaked secret information he was entrusted with? VP: If it was truly secret information that caused us harm in any way, I would make sure he is prosecuted and adequately punished in accordance with the Russian laws. AP:In that regard, do you think the US administration is right to seek his return from Russia and ask you to send him back? VP: It’s a possibility. But you see, this is not the case. The problem is that we don’t know whether or not the Administration is right. And the problem is not that we are protecting Edward Snowden. We are not. The problem is that there is no extradition treaty between the US and Russia. We have proposed to sign such a treaty on numerous occasions, but the US refused. There are certain international rules and procedures regarding extradition of criminals, that is, there has to be an agreement which outlines many things and gives certain guarantees. But the US refused to sign such an agreement with Russia. And the American side doesn’t extradite our criminals, who committed much worse crimes than leaking secrets. Their hands are covered in blood, they killed and trafficked people, and our American counterparts know it and still they don’t extradite them. We can’t say for sure whether or not Mr. Snowden committed a crime in the US, it’s impossible for us to ascertain. But as a sovereign country that has no extradition treaty with the US, Russia has no other choice but to permit him to live here. I’m going to honestly tell you something I never said before – though I’ve hinted, but I haven’t said it. Snowden first met with our diplomats while in Hong Kong. I was told about it, and that he was an intelligence agency employee. “What does he want?” I asked. The answer was that he fought for freedom of information, fought with illegal activities in the US and violations of international law. I said, “Tell him that if he wants to stay in Russia he has to stop any work that damages Russia-US relations. We’re not an NGO, we have national interests and we have no intention of damaging Russian-American relations.” And he said, “No, I’m a human rights activist, and I urge you to join my cause”. I said, “No, we aren’t joining his cause – if he wants to fight, let him fight on his own.” So he just walked out, and that’s it. And then he began his flight to Latin America. I was told that Mr. Snowden was on a plane to Russia two hours before it landed. What happened next? There was a leak. I hope I don’t offend the US security agencies and diplomats but they could have handled this issue in a more professional manner. Instead of allowing him to enter a country where it would be easy for them to operate, they intimidated everybody – Latin America, and European countries. Or they could’ve intercepted him along the way, like they did with the President of one of the Latin American countries, which, by the way, was absolutely unacceptable and unworthy of the US and its European allies. It’s humiliating. With Snowden, however, it would have worked. Why didn’t they do that? No, they chose to intimidate everybody, and as a result, naturally, he stayed at our airport and got stranded here in Russia. So what we were supposed to do now? Send him back? Then let’s draw up an extradition treaty, and you’ll give us our criminals. If you don’t want to, fine. But why do you demand his extradition on a unilateral basis? Why this snobbery? We need to take each other’s interests into account, work things out and make sound decisions. So we’re not protecting Snowden, we’re defending the existing norms of bilateral relations. I very much hope that in the future Russia and the United States will reach agreement on this subject and make it a legally binding one. 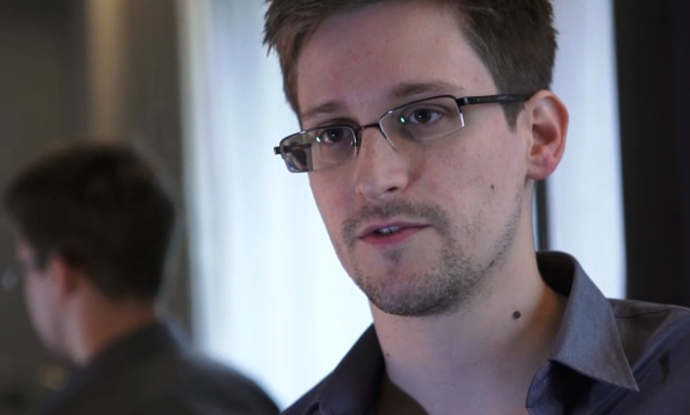 AP:Has Snowden offered Russia any confidential information? VP: No, he didn't offer anything; we never got anything from him, and we never wanted to. As professionals, we do realize that our American intelligence counterparts are well aware of anything he could ever tell us. They have already calculated all possible risks that could be a threat to them; they've replaced, destroyed or changed everything. What use could he be for us? We didn't even want to get involved in that matter in any way. He’s a totally different kind of man, even though he could be portrayed in many possible ways. I do realize that the US secret service prefers to portray him as a traitor. But he has a different mentality. He believes he is a human rights campaigner. Of course, some people don't agree with this but after all it's a matter of opinion. But that’s his stance, and that’s his position in dealing with us. We don’t want to involve him in any kind of collaboration. We don’t want to fish any information out of him. He wasn't even trying to give us anything, and we weren't trying to fish for anything. AP:So theoretically he could live to an old age here in Russia? VP: You know, I do at times wonder about him. He is a strange guy. He’s a young man in his 30s. I’ve no idea what he’s thinking of. How is he going to carry on with his life? I think he’s doomed himself for quite a difficult life. I cannot even imagine what he plans to do next. We’re obviously not going to extradite him, so at least he can be safe here. But what then? Perhaps in a while the US might realize that he’s not a traitor or a spy but rather a man of certain convictions which could be viewed in different ways. And perhaps some compromise could then be found. I don’t know, it’s his destiny, and his own choice. He believes it was an honorable and a justified thing to do. If he thinks he should make this sacrifice, it is up to him. 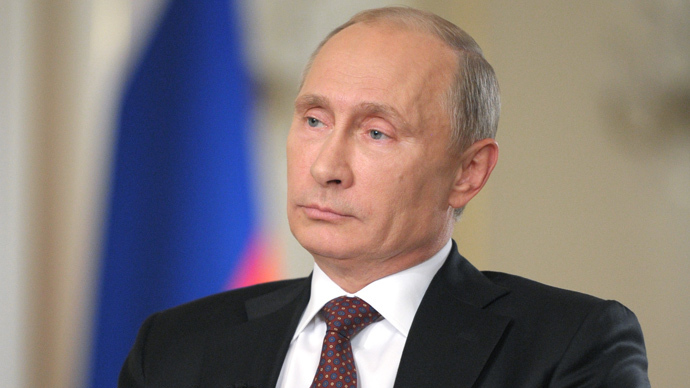 C1:Mr. Putin, if you don’t mind, I am going to ask a few questions about the economy. During your recent visit to Vladivostok, at a meeting with students, you mentioned that the government would have to cut down its budget spending. A little bit of an outdated term, the word ‘sequestration’ comes to mind here. Are the cuts going to be made this year or next year? And how significant are they going to be? VP: Let me remind you that sequestration is tough reduction of the entire budget by a certain figure without any exceptions and no matter what the priorities are. Sometimes this happens to certain economies and is due to some sharp economic fluctuations and negative tendencies. We are not in this kind of situation right now. We are not in the red – the economy shows small growth compared to the previous year. The thing is that we assumed the growth would be higher. And higher growth supposes greater budget revenues. Initially, we intended to spend more on different programs. Now it's obvious that the forecast is a bit different. The economy is growing, but slowly. Revenues will be smaller, which means that we need much more careful spending. So it is not sequestration, but there is yet another economic development forecast to be made. Based on this prediction and realities, we will have to specify the priorities and map out our spending. I think we will have to cut something, but it is up to the government to make a proposal while managing the budget. C1:We don’t know yet which budget items will be sequestrated? VP: No. If we don’t do that, we will follow in the footsteps of those countries that accumulate large deficits and government debt. If we do nothing, the 2014 deficit will have grown in a year’s time, and will continue to grow until we find ourselves in a very difficult situation. If we want to act responsibly, if we want to feel confident, if we are willing to live perhaps a bit more modestly for a while, yet feel confident, knowing that nothing is going to collapse, nothing is going to bust, nothing is going to fall apart, we should act carefully and professionally. This is what we are talking about. C1:Speaking of living modestly, what should people expect? Just in case, I’m asking, should people start to cut down expenses? I mean, just in case. VP: No, because on the average people’s income is growing. Perhaps this growth is modest and does not cover all groups of people, but even though the economy is not growing as fast as we expected, income is still growing. The government will have to come up with some solutions with respect to investment and perhaps with some social programs. Like I said, this is a complex issue with many aspects. Once this work is done, the government will present its proposals. C1:I would like to revisit another incident that happened recently when a detective was attacked at one of Moscow’s markets. Once the story snowballed, harsh measures were taken and a lot of violations were uncovered. So, it seems that in order for all these violations to be uncovered, you had to personally get involved in this situation. It seems that there are a large number of conformists in the system who are incapable of making quick decisions by themselves and responding to emergencies. VP: I keep thinking about this myself. You know, recently I saw some footage of young fellows harassing drug dealers, attacking them in the street and so on. And it struck me: is it possible that police really don’t know about these drug dealers? Why is it that these guys have to do it themselves? C1:They spray them with paint. VP: Why do they have to do it? In some cases, this may be because people got so used to it that they no longer notice such things. In other cases, this may be due to corruption in law enforcement. It’s a combination of factors. Well, what can we do? We just have to fight it. C1:But still, the system is operated manually? VP: In some cases, it runs on manual control; in other cases, it runs in regular mode. But when it malfunctions, you have to switch to manual control. C1:Just like in your recent trip to the Russian Far East? VP: Not exactly, I don’t quite agree with you here. The Far East encountered an unprecedented disaster. 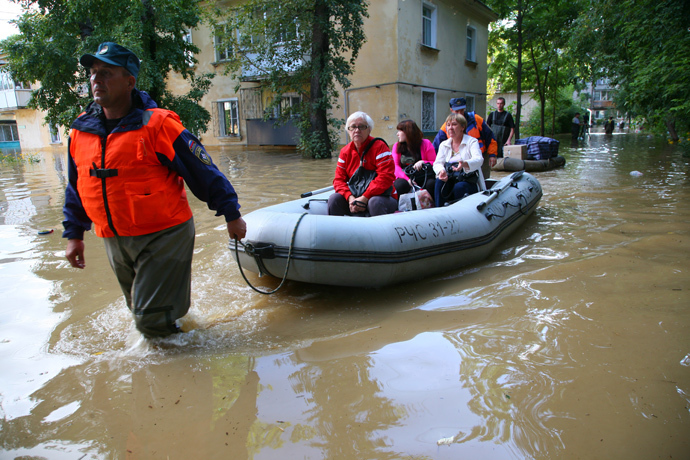 The local old-timers don’t remember ever seeing a flood of such magnitude when the water rose so high in Khabarovsk, in Komsomolsk-on-Amur, and in the Jewish Autonomous Region. When I was flying over it in a helicopter it looked like an open sea. The only thing that brings you back down to earth is rooftops showing form under the water. This does make you realize you’re dealing with a disaster. The scope of that disaster was just enormous, so I believe in this instance, the president’s interference was relevant. C1:It is indeed an enormous disaster. But when you suggested that officials should try that low-quality soup the people at evacuation centers were actually eating…. VP: As you must have noticed, I didn’t start to stomp my feet, or bang my fists and fire everyone. You see, people were working really hard there, 24/7. You should also notice that fortunately there were no casualties. God willing, it will stay this way. VP: There’s no looting, no rise in criminal activity etc. Basically, they’ve been working day and night, saving people, getting them out of houses that were flooded. And after they transported people to the barracks, they thought, thank God everyone’s alive and safe, time to take care of other matters. And that’s what they shouldn’t have done, really. You can’t just leave people so that they, in their own words, painted the walls themselves and ate thin broth. So I had to remind them about that. It’s not such a big deal that I did. I would like to apologize to the local people who found themselves in such conditions. If local authorities still haven’t apologized, I apologize on their behalf as well. We need to fix this, put everything in order. I’m sure a lot has been done already, and nothing like that will ever happen again. AP:The winter Olympics are just six months away and it looks like the construction of all the facilities will be finished in time. During the recent World Athletics Championship, much of the world was focused on the new Russian law banning gay propaganda. Are you worried that this issue will become a flash point? VP: I hope there will be no negative consequences – all the more so as we have no anti-LGBT laws. By saying this, you’ve just made millions of people believe that in Russia we do have such laws – while in reality, we don’t. What Russia has adopted is the law banning LGBT propaganda to minors – and that’s a totally different story. That’s my first point. My second point is that unfortunately we see attempts undertaken also by the US and others to somehow discredit the future Olympic Games, and this is one of the ways to do that. Now look, in Russia, there is no discrimination of LGBT people in the workplace, no salary discrimination; finally, those who succeed artistically and professionally receive awards and medals regardless of their sexuality or gender identity. They do enjoy the same rights as other Russian citizens. Those who are trying to lecture us, in particular our friends and partners from the US, should be aware that there are quite a few LGBT-related problems in their country. Did you know that in some of the states non-heterosexuality is still considered a crime – in particular in Oklahoma and Texas, at least so I’ve been told? Those who told me that might be mistaken, but you should check that information. And if that’s true, a situation when we are lectured by those who are no role models is a strange one. Meanwhile, statistics by some independent NGOs confirm – though I can’t say it’s true – that in certain American companies there is even salary discrimination against non-heterosexuals, and statistical data allegedly supports this. I can’t say for sure: that information needs checking. But outlawing non-heterosexuality is an outdated concept, and Russia, too, scrapped it a long time ago. I believe we did have Article 120 of the Russian Criminal Code, which made homosexuality punishable. But that’s gone long ago! We have nothing of the kind anymore – while other countries do. But it would be best to stop arguing and trying to label people as civilized vs. uncivilized. Instead we should treat protection of human rights on grounds of objectivity, professionalism and partnership – and look for solutions together rather than try to push each other around. AP:When a law says it’s a crime to take part in gay propaganda, does that includes things like waving a rainbow flag, or painting your body in rainbow colors? Is that propaganda for young people? Will visitors or athletes have to have these kinds of concerns? VP: No, it’s not. The main point of the initiators of these laws (I was not the initiator of this law, by the way) and of those who passed them was that no kids are born in gay marriages. The demographic situation in Russia is not that easy. We want to have complete families with as many kids as possible. This law is not the most crucial measure among those measures with which we’re taking to improve the demographic situation. But I believe the authors of this legislation were in the first place willing to solve the demographic problem and had no intention to deprive certain people of their rights. As for the Olympics or any other sports events, but especially the Olympics, you can be absolutely sure that Russia will firmly stick to the Olympic principles which do not allow discrimination on grounds of nationality, gender or sexual orientation, as you’ve mentioned. 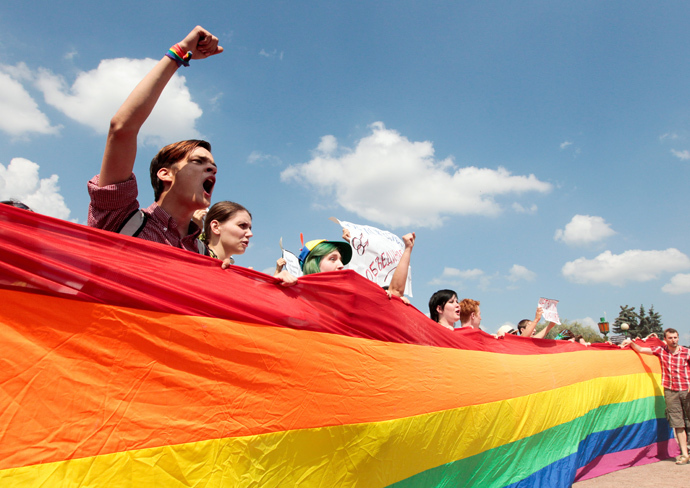 AP:As mentioned earlier, President Obama is planning to meet with the LGBT community in Russia. Is that something you would consider doing in connection with the Olympic Games, or in general? VP: If they want to meet with me, they are welcome, but nobody has taken the initiative to do so yet. There’re so many different groups and organizations in Russia, and if somebody wants to meet with me to discuss certain important problems, I usually satisfy such requests. But there were no such requests for the time being. Why not? I can assure you that I work with such people, on occasions I award them with state medals and orders for their achievements in various fields. Our relations are absolutely normal, there’s nothing special about it. Some people say that Pyotr Ilyich Tchaikovsky was gay, though this is not exactly what we love him for, as he was a great musician and we all love his music. So what? Don’t make a big fuss out of nothing. There’s nothing awful and terrible going on in our country. 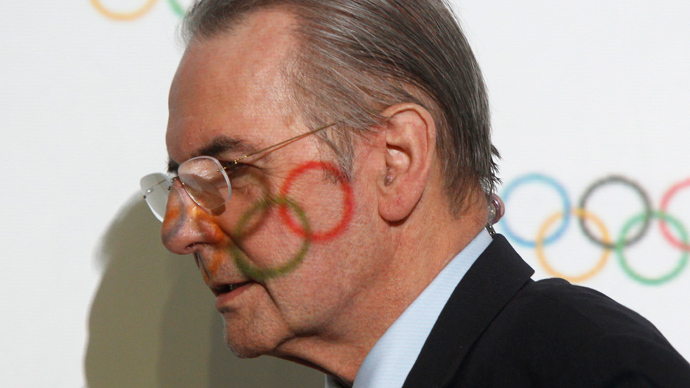 AP:There are also some concerns about security at the Olympics. I know that some terrorist groups have made threats against the Games. What do you say to visitors? Do they need to fear terrorism? And what kind of extra measures might you need to take? We saw in Boston that it is hard to protect sporting events. VP: Terrorists are always threatening somebody. If we get frightened – they win. But it doesn’t mean we shouldn’t care a dime about such threats. We have to do our best in order to nullify these threats in order not to leave the terrorists a single chance to bring to life their inhumane and atrocious activities and policies. Clearly, we carry out a large-scale set of measures aimed at ensuring security during the Games. I assume that our security services and law enforcement can ensure unconditional security. What extra measures could be taken? Cooperation between law enforcement officials is crucial here. I should say that we have drawn up certain agreements with our US partners, the FBI and other security services, and with our European partners. They all realize their responsibility to athletes, sport fans and viewers. I hope their joint work will be fruitful and will ensure complete safety at the Sochi Games. AP:Another Olympics-related question: as I understand you are spending something like $50 or $60 billion to build the Olympic venues, infrastructure, roads, and so on at the stage of preparation. Could you explain whether this kind of investment is justified for your country? I think Russia has invested much more in the preparation for the Olympics than any other country ever has. VP: Our country has perhaps invested more funds in the preparation in general, but certainly not more than other countries have invested in their Olympic venues. We will spend a total of 214 billion rubles to prepare for the Olympic Games. We can easily translate this into dollars, as the current exchange rate is 33 rubles per dollar. Out of this amount, 100 billion rubles is entirely government funding, and 114 billion rubles come from investors. We spent even more money on infrastructure, and we did this intentionally. We wanted to make sure that the southern part of Russia, which is quite a northern country really, would become attractive and comfortable not only for the Olympics but for decades to come. We want to see our people choose our country over Turkey, Europe, Italy and so on. We want them to spend their money in this region which has quite a nice climate and which could provide them with good holiday opportunities all year round. We would’ve been able to do this even if we didn’t have the Olympics coming up. But I guess you will understand that it would be quite difficult to do within a limited budget. However the upcoming Olympics mean than we’re obliged to this and that and whatnot. As for what has been done specifically, we have built hundreds of kilometers of new roads, dozens of bridges (dozens!) and tunnels. Basically, we built two new roads – one was reconstructed to the point that it’s almost new, and the other is a brand new road from the beach to the mountain cluster. We also built a railway connecting the beach and the mountain cluster. We also constructed two additional gas pipelines so that the region doesn’t have any power shortages. We built a power plant and 17 substations. We built a new medical center and 43 hotels with comfortable rooms and modern designs. And I hope all of that will serve the local people for generations to come. And we wouldn’t begrudge money on that, because the money was spent on something the Russian people will be able to use for years after and not just on the Games. Hosting the Olympics means excitement and prestige, sure, but it’s not the most important part of it for us. There’s one more aspect that I feel is quite significant, and that’s promoting sports and a healthy lifestyle. When a country is hosting such a major sports event, it’s only natural that more people become interested in physical exercises and sports. It’s one of the main reasons we endorse spending on this level. What should we be spending money on, if not our people? We have revenues from, say, the oil and gas sector, so we spend a significant part of it on this. 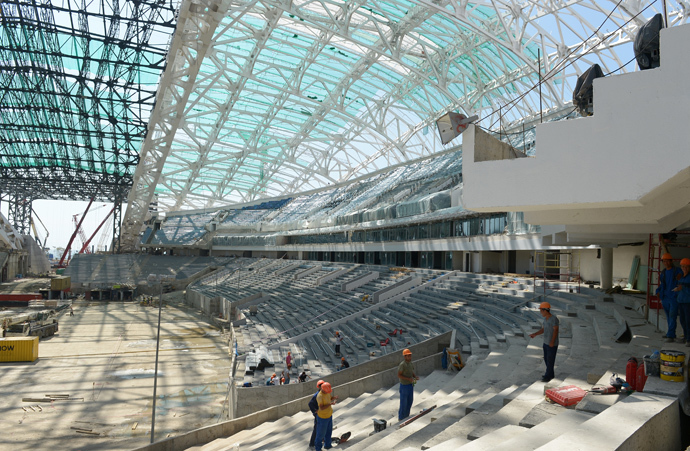 Besides that, in 2008-2010 the construction of Olympic venues proved to be a good anti-crisis measure, since we created several thousand jobs there. Qualified workers came from every corner of Russia. We built entire cities there. It improved the level our construction firms operate at, it facilitated international cooperation, as some issues were far from easy to resolve. I very much hope that the working teams that came together over the period of construction in Sochi, or at least, some of them, will continue working together in the future in other parts of Russia, including the southern regions, to improve infrastructure. AP:Can you predict how the Russian national hockey team will perform? VP: Of course I can. AP:Ok, that remains to be seen. VP: What remains to be seen? I haven’t shared my predictions with you yet. AP:I thought you would predict Russia’s victory. We know there’s going to be a great deal of snow. VP: I hope snow will be in abundance and everyone who comes to the Olympics – the athletes, the coaches, the experts, the spectators, the journalists – everyone will enjoy the festive atmosphere and our hospitality, and that we will manage to create that atmosphere and to organize the Olympics in the best possible way. 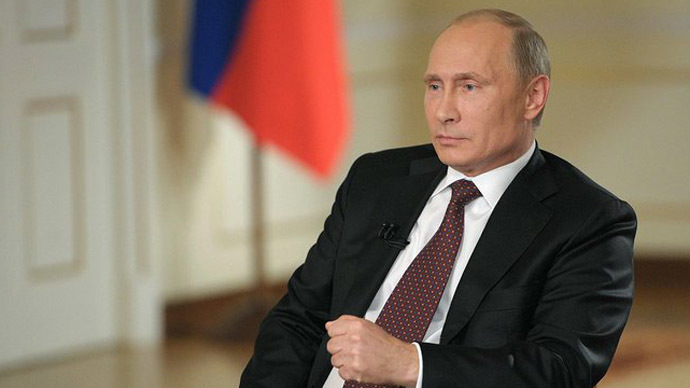 C1:Mr. Putin, you know that all of us are dependent on historical background to some extent. We are approaching the 100th anniversary of WWI, which led to the collapse of the Russian Empire. Back then, it happened largely because the elites were disloyal to their own country. We can also trace similar occurrences later in 1991, when the Soviet Union collapsed. Do you think that the modern elite are loyal to the country? VP: It’s not just elites. There is always some ‘infection’ that is wrecking the organism of the country. But it becomes active when the immune system is weak, when problems occur and when millions of people are affected. These masses already believe that it couldn’t be worse and they want changes at any cost: we will sweep out everything, “we are going to build our own new world, those who were nothing will own all”. In reality it didn’t turn out the way it had been planned. As for loyalty or disloyalty of the elites – probably, there is a specific problem here. I think nobody would accuse [Russian poet] Pushkin of being an apologist of authoritarianism – on the contrary, he was freedom-loving and had Decembrists among his friends, nobody can deny that, but even he said once: “We’ve got a lot of people opposing not the government, but Russia itself”. Unfortunately, it is typical of our elite, but the reason is that they always want to demonstrate their civility and erudition; they want to be guided by the most perfect patterns. Apparently, at some stage of development, it is inevitable, but there is no doubt that this loss of the country’s self-concept during the collapse of both the Russian Empire and the Soviet Union turned out to be pernicious and devastating. We need to keep this in mind and not let the country be driven into the state it was found at the end of WWI or right before the collapse of the Soviet Union, when people needed vouchers even to get soap. - Would you like sugar in your tea? - Than wash your hands without soap. You may laugh at it but apparently people thought it wouldn’t get worse. But we all should realize that once revolutionary, not evolutionary, changes occur – it can always get worse, much worse. And I suppose that the elites have to understand that in the first place. These people have to be aware of such things and should prevent drastic shifts and all sorts of revolutions. We are fed up – we have been through too much revolutions and wars, so for the following decades we need to move at a deliberate pace. C1:Speaking of moving at a deliberate pace, let me ask a question about Ukraine. Why can’t Russia move in a deliberate pace side by side with Ukraine? Why can’t we build a common space with our long-standing neighbors, whose mentality is similar to ours? You often meet with the Ukrainian leadership. What’s the underlying problem, then? VP: You know – whatever happens and wherever Ukraine goes, someday, somewhere we shall meet. Why is that? Because we are one nation. And though nationalists in both Russia and Ukraine would be angry over this, it truly is the case. We share a common baptism that our ancestors received in Kiev more than a thousand years ago; we share a common historical background, a common religion, and common faith. Our cultures, languages, traditions and mentality are very much alike, as you have said. Of course there is a strong national flavor. I personally have always found Ukrainian culture, language, dance and music totally amazing. You’ve mentioned the revolution after World War I and you’ve spoken about the elites, too. Now here’s an interesting fact. The White and the Red Armies fought to the bitter end: millions died in the civil war; but no one ever raised the question of separating Ukraine from Russia. Both the White and the Red movement thought Russia to be inseparable. We all originated from this part of Ukraine, as I said, we all share a common baptism that our ancestors received in Kiev. That’s where Russia comes from. That’s where we all come from. This territory was part of the domain of different countries to the west, and all those years, all those centuries the Ukrainian people had been in a humiliating position, they had been suffering like slaves. Only after these two parts of Russia came back together did this part of Ukraine start to develop and prosper. Over the years, a united Ukraine gradually turned into a large European country after obtaining extra territories and population, some of that at the territorial expense of Russia. The USSR awarded Ukraine with those territories. VP: In the south, but that doesn’t matter – it became a big state. There was colossal investment in infrastructure, and the industrial sphere, etc. It so happened that now we live in two separate states. We need to take into account the current state of affairs, and the fact that the Ukrainian people highly value their independence. We have to not only accept that, but also respect it. Moreover, it’s only with respect towards each other’s values that issues of common interest can be solved. As for integration, we need to respect Ukraine’s stance here as well. If Ukraine is convinced that it will benefit more from, say, signing a free trade agreement with the EU, then so be it. But we see some problems in this development for both of our countries. What are they? What is a free trade agreement or association agreement? I don’t quite remember what these documents are called, but I do know their essence. The point is that Ukraine makes a commitment to lower custom barriers. What I’m saying isn’t difficult to understand, you don’t have to be an expert. First of all, Ukraine will be gradually lowering its custom duties until they reach zero on a significant number of commodities. With some commodities it will happen right away. Secondly, European technical standards will be introduced. Let me explain what that means. When the custom duties reach zero, foreign commodities will appear on the Ukrainian market and their domestic companies will have to trade off their goods somewhere. We are concerned that it will create a surplus that will be pushed into the market of the Custom Union of Belarus, Kazakhstan and Russia. We never agreed to this, and it will create problems for our economy, that’s for one. Second, what would it mean to implement technical standards overnight? It would mean that Ukrainian industries would have to produce everything – elevators, cars, shirts, watches and so on – according to EU regulations, which are good but very strict. It would take time and billions in investments to ensure their industries comply with those regulations. It’s unlikely they can do this overnight. And while they are doing that, many industries will go bankrupt, or try to push their products on our market. The problem is that we would have to close down on them. And what would that result in? We do have obvious competitive advantages in terms of common transport infrastructure and common energy; we have profound cooperation, and we speak the same language. These major competitive advantages would be gone. I can hardly imagine the future development of Ukraine’s space industry. Their rocket and aircraft sectors are quite powerful now but I just cannot picture them without our market. Take their aircraft motor industry: our airplanes are equipped with Ukrainian engines, so what are we supposed to do? How would all these things supposed to develop, if they would at all? So it’s not a matter of our willingness or unwillingness, it’s not a matter of blocking somebody’s way. We are also holding talks with the EU. We are considering creating a free trade zone; we are considering signing a new fundamental agreement. But I know our European partners quite well – they are nice guys, you can take a glass of German beer or Schnapps with them, or a glass of tasty French or Italian wine. But as soon as they sit down for talks, they become hard and pragmatic. It’s a huge problem to get something from them. So I think if we work out certain common principles within some common economic space, this would make it more difficult for the Europeans to talk to us when we are together, I mean Russia, Ukraine, Kazakhstan and Belarus than to talk separately with each one of us, not to mention talking to Ukraine alone. We’ll see what the Ukrainian leaders choose. Whatever they choose, we’ll respect their choice and continue our work. But the question is how we’re going to work, what we’ll need to do to protect our own interests. So, we’ll see. AP:I have a few questions related to what you have said about the intelligentsia. Do you agree that a lot of Russians are moving out of Russia these days? Do you think that’s a normal thing? Does that correspond with the spirit of these times? One other thing that concerns me is the upcoming mayoral election in Moscow, where one of the candidates is an opposition activist. Would that be right if that man were to become Mayor of the Russian capital? VP: As far as the first part of your question is concerned, about people leaving. You know, thankfully, ours is an open country. And it is a very significant achievement of modern-day Russia that today people are free to choose whatever place of residence or occupation they prefer. You cannot blame someone for going after a good job, even if it’s based outside the Russian Federation. Our task is not to bar people from leaving the country, but to ensure decent working and living conditions for high-grade professionals here in Russia. We have made some progress in this regard in some areas, but we have also been less successful in others. There are similar developments in certain areas of scientific research. A workforce – I am using this word figuratively, of course – and especially highly-qualified professionals always tend to pursue the best opportunities to make the most of their skills and knowledge. It is a perfectly normal thing. We need to provide good working conditions here in Russia, so that people who have already left would want to come back, and people who are working here would want to stay. For people in scientific jobs, that should include a good lab, lodging, and a decent pay check. Those things are something you cannot provide overnight, it all requires continuous development. Like I said, some things we have managed, others we still haven’t, but we know which way we need to go. As for the Moscow mayoral election, the federal government will work side by side with whoever Muscovites elect as their Mayor, that is perfectly clear. But in fact, all public opinion surveys show that acting Mayor Sergey Sobyanin is leading the race with over 60 percent in the polls – I’m not sure as to the exact percentage. Such findings come from a variety of independent society experts, so I believe those rankings are reliable and I have no doubt about them. Mr. Sobyanin is a very experienced and level-headed man. He is sort of not a public figure –actually, he is rather taciturn. I like people like him. He doesn’t talk much, but he delivers real action. It seems to me that the people have sensed that, and that is very important. Still, in case an opposition candidate happens to beat Sobyanin in the election – well, so be it, and we will work with the new mayor anyway. However, managing a megalopolis like Moscow requires knowledge, skill, and a great deal of experience. It takes more than just pointing fingers and yelling “Catch the thief!” or giving promises like “Once we in we are going to jail every corrupt official”; or “We will hand out money for free, $1,000 per person to begin with, $5,000 later.” That’s all campaign rhetoric. It is much more difficult to work consistently and provide substantial results, without much ado. I think that is what Sobyanin is good at. We’ll have to wait and see the vote returns. AP:I believe that thousands of people came spontaneously after Mr. Navalny’s sentence to prison and the next day he was released on bail. Is that normal in this country that courts respond to protests like that? Were you surprised by that decision? VP: This doesn’t concern the opposition, this concerns a particular individual whom law enforcement authorities believe to have violated the law. This gentleman gets into trouble with the law wherever he goes. First, he is reported to have stolen a liquor plant, then there are some issues related to a forestry company, next a firm of his is discovered abroad, which he hadn’t declared. Those are all hard facts. As for the trial that you are referring to, I certainly don’t know the case in detail, but I do know that there has been a guilty verdict passed by court, and the people who had the verdict handed down to them have agreed with it, and declined to appeal it. So this is not a case where an opposition activist is being persecuted for merely criticizing the authorities. There are things to look at in this case for the court and for law enforcement agencies in general. It is one thing to jump on the trendy bandwagon of combating corruption, but it’s a totally different thing to manage a city of 12 million and do a good job actually combating corruption. Moreover, someone who beats on a counter-corruption drum needs to be personally irreproachable in the first place. 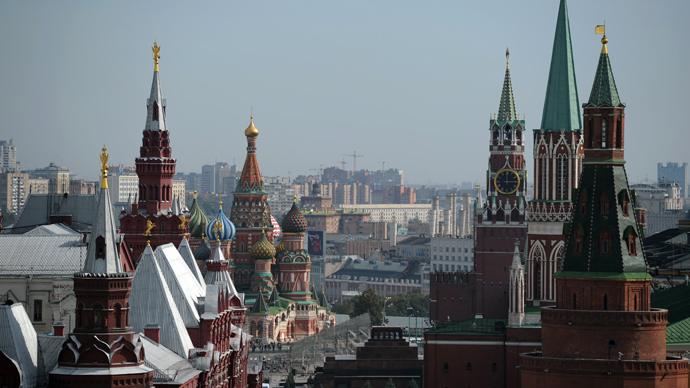 AP:Do you believe Russia’s opposition parties are truly independent? Or do some of them have to collaborate with the Kremlin in one way or another in order to get along within the existing administrative set-up? VP: That’s the way it works, everywhere. I think it is the same in the United States, and in any other country. Certainly, there are specific situations, and there are also political groups who prefer to maintain no contacts with the authorities. But that is a road to nowhere; it is a recipe for unrest and confrontation. The fact is, once we liberalized the laws regulating political parties in Russia, the number of parties running in all kinds of municipal and regional elections has increased manifold. Are those parties independent? Definitely, they absolutely are. There are political parties among them who themselves pursue cooperation with the government, seeking to improve the performance of government agencies and make it more constructive. Others merely criticize what they see, and propose what they believe to be more rational and efficient solutions for the problems facing their region or the nation in general. One thing is certain and obvious, all of those groups are independent. You have just mentioned some of our opposition activists – are they not independent? Do you see them as someone’s lapdogs? 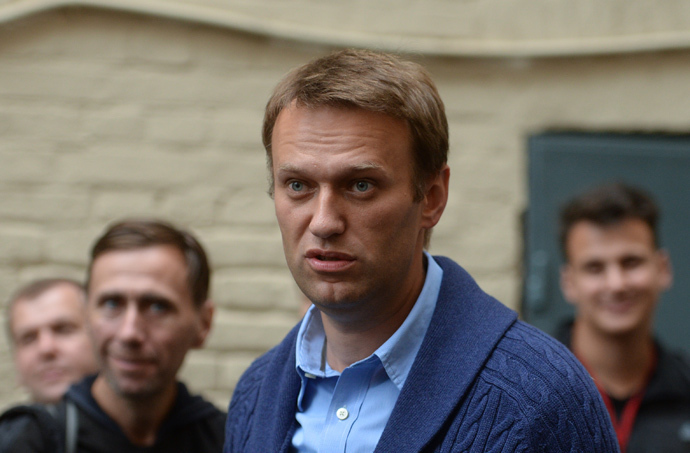 AP:You do have people like Mr. Navalny, as I’ve just mentioned, who seem to be tackling the system from outside. Can he work on the political system and succeed? VP: This gentleman has jumped on a trendy bandwagon of combating corruption. I repeat: if someone is to combat corruption, he’s got to be absolutely incorruptible himself. But there are issues in this regard. Sadly, I suspect that all this counter-corruption rhetoric is his way of scoring political points; it is not driven by any actual intentions to address the problem. But anyway, you should hear what other parties and their leaders have to say – the way parliamentary Communists bash the government, or the kind of critique leveled by the Fair Russia party. Mr. Zhirinovsky, for one, occasionally gives such a tongue-lashing to federal or regional authorities, it’s sheer carnage. And then there are political groups that are not represented in parliament, dozens of them. With them, it is hard even to make out who criticizes what as regards the incumbent government. It is not that I would like to see less critique – I’d rather such critique was more coherent. But such is our political culture. I think we will see gradual progress in this regard with time. AP:Your political philosophy remains somewhat of a mystery. I want to ask you - are you a liberal, a conservative, a Marxist, a pragmatist? What are your political guide posts? VP: I guess you can call me a conservative-leaning pragmatic. I will probably have trouble explaining this notion, but I always rely on present-day realities, and on the events of the recent and distant past, and I try to project these past experiences onto the future in short, medium and long-term perspectives. Whether this approach is pragmatic or conservative – you decide. AP:I suppose many people tend to become conservative with age. VP: You are probably right. But I still think there must be a reason for this. Conservatism does not mean “stagnation.” Conservatism means reliance on traditional values, but it also indispensably includes a component aimed at development. I believe this is a quintessential criterion. And there is a pattern in practically all countries of the world, where conservatives build up resources, accumulate assets and increase capacity for economic growth. Then revolutionaries come to power – I am using the term figuratively; they may be leftist, left-leaning or outright radical – and they quickly start redistributing wealth, one way or another. At first, everybody likes that, but next comes disillusionment, as people come to realize that all the wealth has been spent and squandered, and it’s time to get back to earning and saving. Once this notion hits home, people vote conservatives back into power. Conservatives get down to work and accumulate wealth once again, until somebody tells them, “Alright, that’ll do, we’ve saved up enough. Time to even shares.” Such is the perpetual political cycle. C1:I would like to ask you something with regard to a topic that was actively discussed in the blogosphere following your vacation. VP: You mean that pike? C1:First, everybody was chewing over the fish itself – people were trying to measure its length, size and weight by that photo. Then, people started speculating that you didn’t go fishing in the first place, because you had the same clothes on and sported the same watch that you had worn during your previous wildlife photo session a few years back. VP: I always wear the same watch. As for my clothes, those were brand new, bought specifically for that trip. They were very similar to my previous outfit, because it’s all hunting fatigues, but they were new. That’s number one. Secondly, I really did catch that pike. It was the first pike of such size that I have ever caught in my life. It turned out that inside that pike, there was another fish, weighing between 250 and 300 grams. I guess that is why the pike was so heavy. I spent about three minutes pulling it out of the water – it’s all captured on video. That trip has made me change my attitude toward fishing. To tell you the truth, I used to be, well, not much of a fisherman. But this experience has made me take an interest in fishing. By the way, I caught that pike using a spoon lure produced by a small family business based in Krasnoyarsk, called Czar Fish. The spoon bore the same name, Czar Fish. I took a photo of the pike that I specifically want to mail to that small company, but I’m always too busy to do it. I hope I will get an opportunity at some point. C1:That should be quite a promo pic! VP: They deserve to be promoted, because their product proved efficient. Actually, I think there is nothing surprising in the fact that an amateur fisherman like me managed to catch a pike like that. There are practically no people in that area. Well, not “practically” – there are no people there at all. The lake is located in the highlands, 1,700 meters above sea level, and 300 kilometers from the nearest village. There is no one around who could go after all those fish. So catching that pike wasn’t much of an exploit, after all. But I enjoyed it, and I think I will take fishing more seriously now. VP: Thank you very much.